How do you get invited to Le Dîner en Blanc - Sydney? 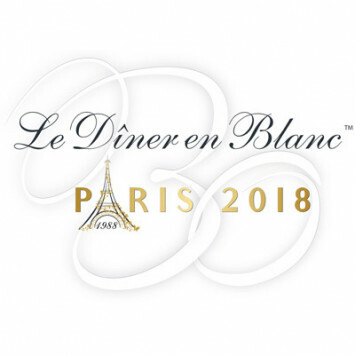 Registration to attend Le Dîner en Blanc is in 3 phases. 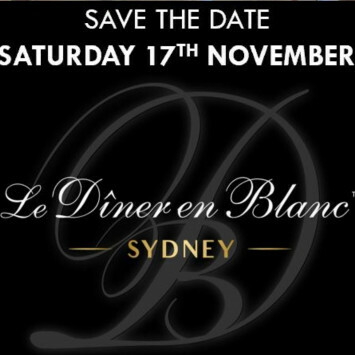 Phase 1 is for members of Le Dîner en Blanc – Sydney of the previous edition, members automatically receive an invitation. Phase 2 is a chance for members to sponsor a friend, family member, colleagues… Phase 3 is for everyone on the waiting list! As the number of people on the Sydney waiting list has grown exponentially since our first edition in 2012, not all people will actually make it through registration due to limited available spaces. Space allocation is on a “first in first served” basis. Please note that being on last year’s or this year’s waiting list does not automatically guarantee you will become a member. How much does it cost to attend Le Dîner en Blanc - Sydney? The event ticket price is 62.00$ (incl. GST) per person, it includes transport to the secret location. This helps cover the venue hire, production, staffing, security, user paid Police and licence fees. Note: For egress, depending on the secret location, there is access to public transport, Uber and taxis. 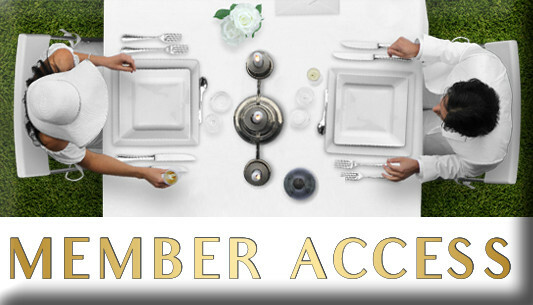 Diner en Blanc International will charge an annual membership fee as well as a transaction fee at registration time. 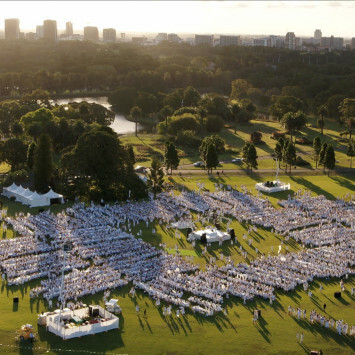 What are the most important rules of Le Dîner en Blanc - Sydney? What should be on the all important guests’ packing list? 1 square folding table (60cm to 80cm max. ), 2 white folding chairs, 1 white tablecloth, 2 white serviettes, picnic equipment for 2 including cutlery, an Ice bucket, polycarbonate* glassware, plates and table decorations like votive candles (for al fresco dinning), bottle opener, flowers… (your taste and imagination are the boundaries), garbage bag(s) and a LIGHTER. Strictly no disposable cutlery or plates. * To avoid potential accidents and littering of broken glass, City of Sydney and Licensing Police have demanded that guests bring non-disposable polycarbonate wine glassware. Why is the size and shape of the tables so important? : The use of SQUARE folding tables (60cm to 80 cm max.) optimizes the use of space at the site and also contributes to the visual harmony of Le Dîner en Blanc by creating rows of long banquet tables. How do I buy and collect my catering order? For convenience and as there is much to bring to the event, more and more guests prefer to pre-purchase the delicious picnic hampers prepared by one of the city’s premier caterers. Once you’ve registered to attend, you can access the e-store by logging on to your member profile. 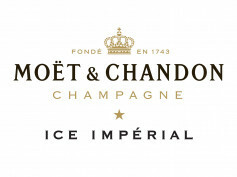 Once on the e-store, you can choose from our delicious food hamper selection and carefully curated wine list. Process your payment and you will be emailed a receipt confirming your itemized purchases. Bring your receipt (PRINTED or ACCESSIBLE ON YOUR PHONE) to collect your purchases at the venue. You will not be able to collect your catering without a proof of purchase. What are the cut-off dates for catering purchases? 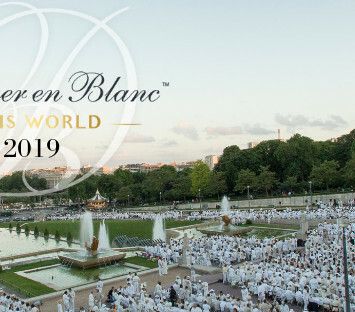 To keep in with the tradition and concept of Le Dîner en Blanc, THERE ARE NO PURCHASES POSSIBLE AT THE EVENT ITSELF. 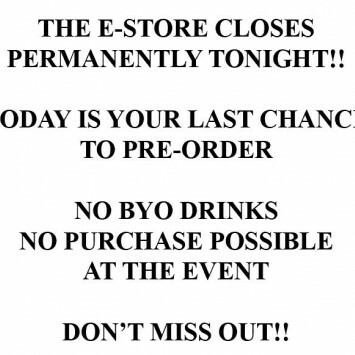 The e-store usually closes 7 days prior to the event. To find out the specific closing date and time, visit the News section on our website or our Facebook page. How do I download and print my catering receipt? Check your emails first to find your purchase confirmation and receipt. Alternatively, login to your member profile, click on “Store”, click “download” and print your receipt. You can also collect your catering purchases with your receipt accessible on your phone. Please note that without a proof of purchase, you will not be able to collect your catering.